English food, like most other cuisine from around the world, has some good – actually, very good – attributes and examples, but unfortunately, it also has some that are slightly less desirable. As with many cuisines, to pigeon hole English food into good and not so good is not as easy as you might think, simply because there is so much variety. There are many regional variations that to a person not from that specific part of the country would appear as something to be avoided at all costs, but to those who are used to it they will think of it as a treat, a scenario that is apparent all around the world. To this end, the list below is a selection of what may be described as traditional English fare, looking at the good, the bad and the downright ugly. Any traditional ‘East Ender’ will tell you that this is something you must have if you are ever in their neck of the woods. It is, it has to be said, not the most inviting of dishes at first sight, but at the same time it is something that has been enjoyed in London’s East End since the 18th century. At that time it was a cheap, nutritious – and more importantly, readily available – source of food. Although not as popular as it once was, there are still places in London that serve this particular regional favorite if you know where to look, including modern variations in some restaurants. The dish itself consists of eels that are chopped into what are called rounds, which are then boiled in a mixture of water, vinegar, nutmeg and lemon juice. 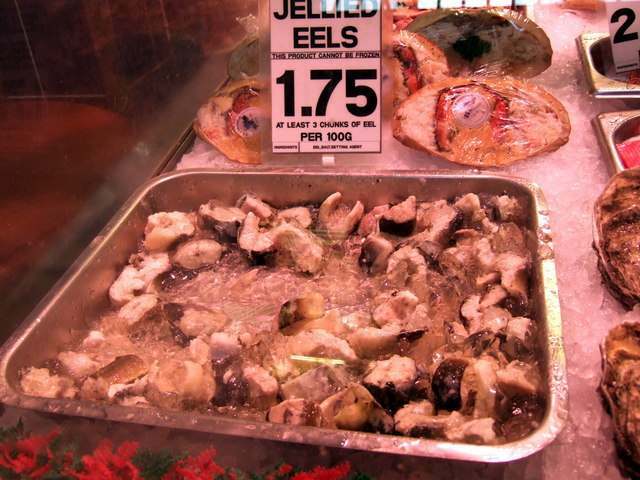 The eel being a naturally gelatinous fish, it releases proteins which solidify when the dish is cooled, forming a jelly around them, making for a very strange texture. 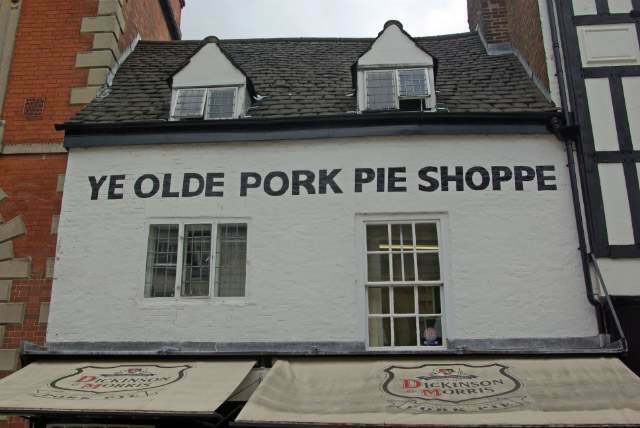 One time in England, butchers would have taken great pride in producing their own recipe pork pie. Although not so prevalent nowadays, there are some who still carry on this once proud tradition, despite very heavy competition from supermarket chains. The traditional pie is made from roughly chopped pork and pork jelly that is sealed in a jacket of hot water crust pastry, which is normally a golden brown colour. Another version is the common pie, which uses cured meat that can be produced in moulds to make the finished pie very regular in shape. 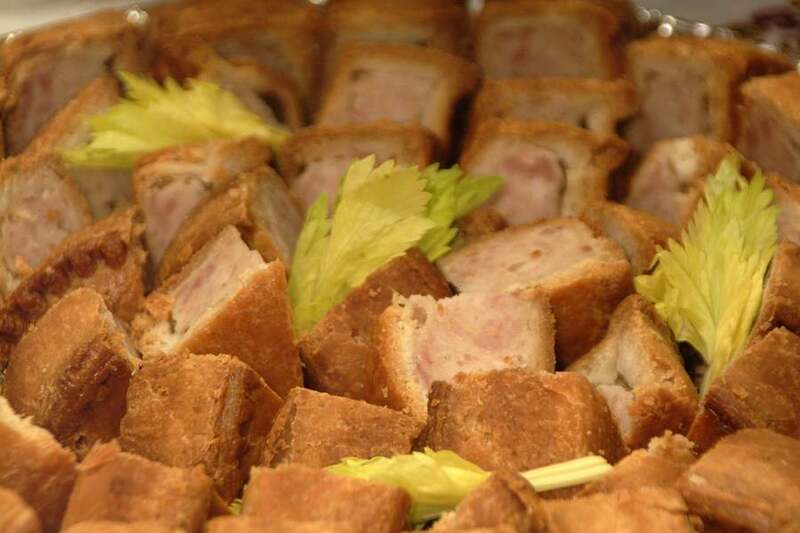 Variations of these pies, both in flavour and size, will be found up and down the country at parties or celebrations as an enjoyable and tasty snack and to show how serious people really are about this piece of quintessentially English fare, there is a dedicated Pork Pie Appreciation Society. This is not one for those with the most delicate of stomachs, but it is one that the English have taken to their hearts in a big way. 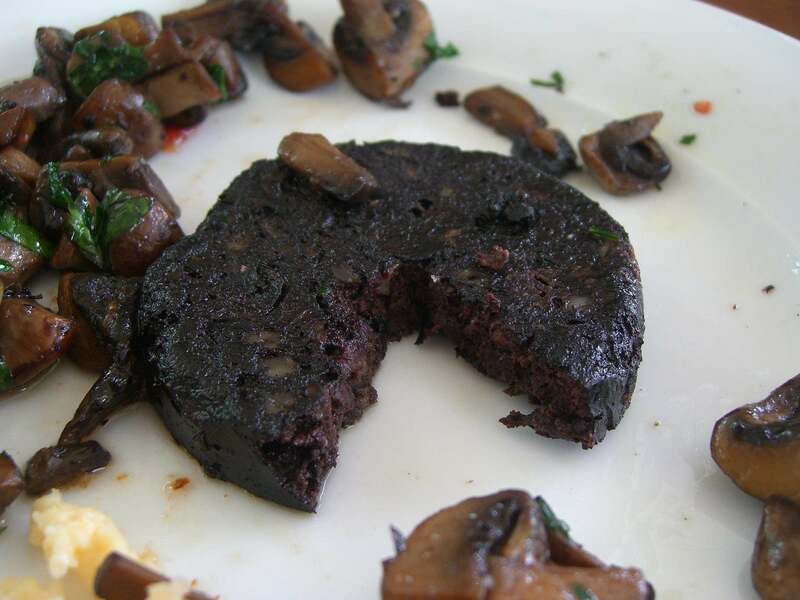 An important ingredient to compliment the bacon, eggs, mushrooms, sausages, baked beans and toast in what is seen as the staple diet of many people, the Full English breakfast, black pudding (or blood sausage, as it is also known), is exactly as the name suggests. 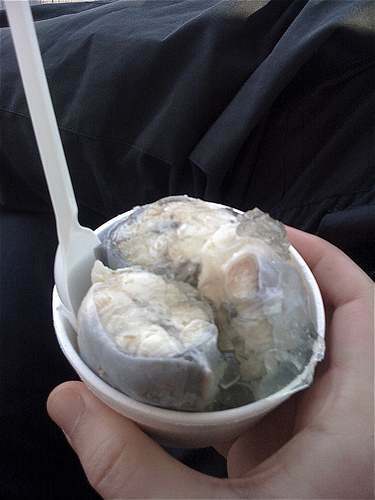 Made by cooking blood, usually from a pig, it is mixed with a blend of onions, pork fat and oatmeal until it is thick enough in consistency to ensure it congeals when it is cooled. The finished product is then sliced and can be eaten alone or with an array of other foods after being fried to perfection. And as with pork pies, in a traditionally quirky English way, the English have an annual event called The World Black Pudding Throwing Championship, held in the town of Ramsbottom. 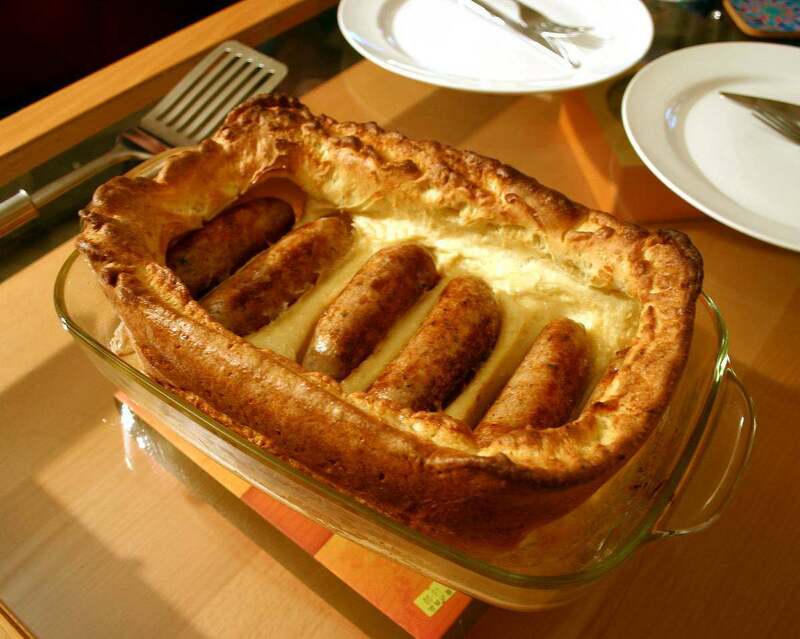 A strange name for a dish that is nothing more than the situating of a sausage into a Yorkshire pudding, which is then eaten with mashed potatoes, vegetables and gravy, although there are many different recipes for it, the Yorkshire pudding itself is basically made by mixing eggs, milk and plain flour until it is the texture of a smooth batter. The sausages are added when the batter has been poured into the appropriate cooking tin and then cooked in the oven for around 30 minutes. This may sound simple, but the truth is it takes quite a while – and probably some spoilt efforts – before you have the skill to cook this dish perfectly. 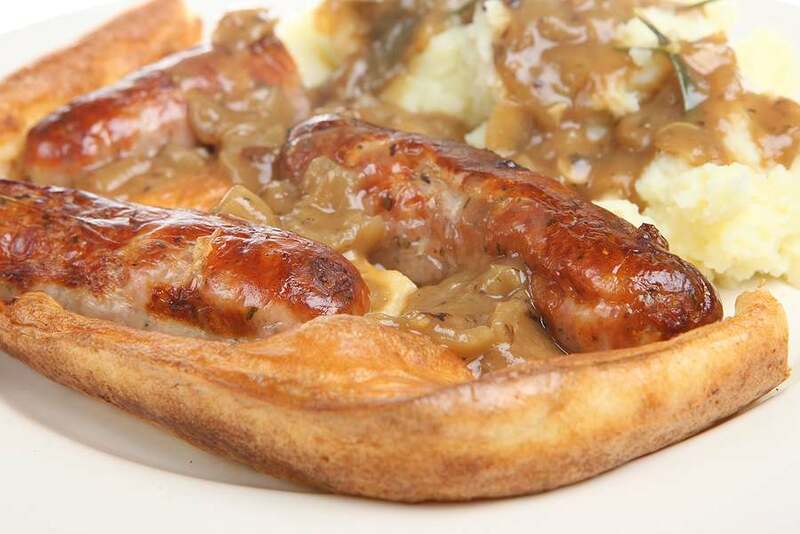 Apparently, those in the know insist that not only the better quality sausages that are used in the dish, the better the final taste will be, but the more air you can beat into your Yorkshire puddings, the better the entire dish will taste overall. 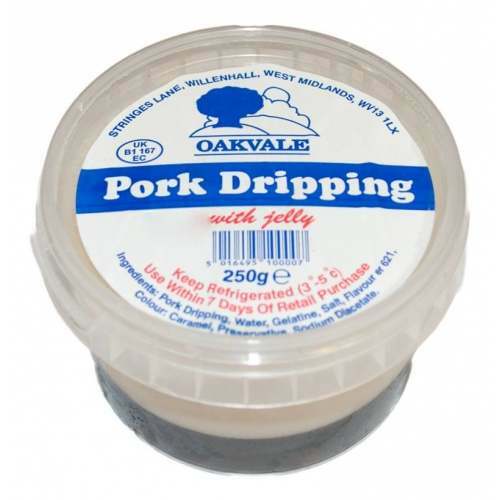 Dripping, available in both beef and pork, is an animal fat that is produced from the otherwise unusable parts of the carcasses of pigs and cows. Although not so widely used today, it has been used in cooking by the English for many years. To prepare this item, which has been described as the collection of the residue from meat roasts, is a relatively simple process. 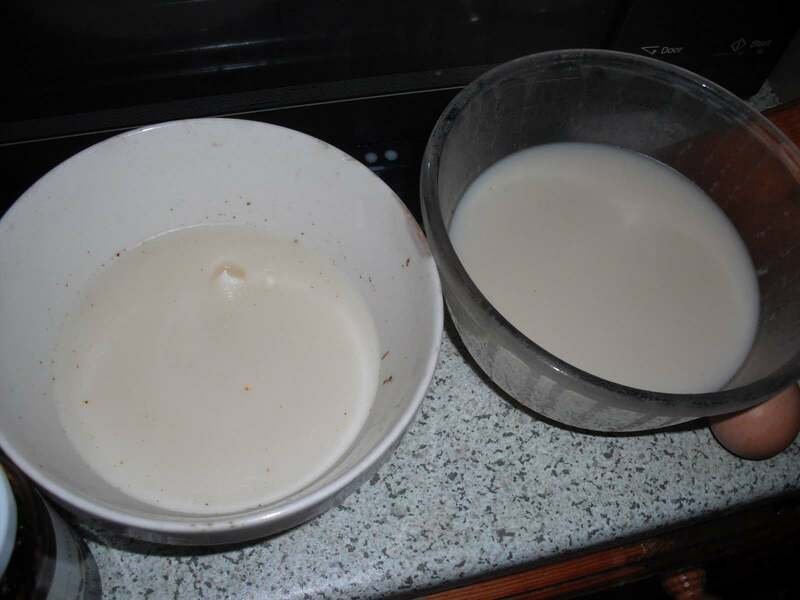 After removing the roast from the dish, the residual juices – the stock – should then be poured into a bowl and left to chill in the fridge until such time that it reverts back to a solid state. A cholesterol rich snack that has been traditionally spread on fresh, homemade bread, many English people over a certain age will be instantly transported back to their childhood upon tasting it. 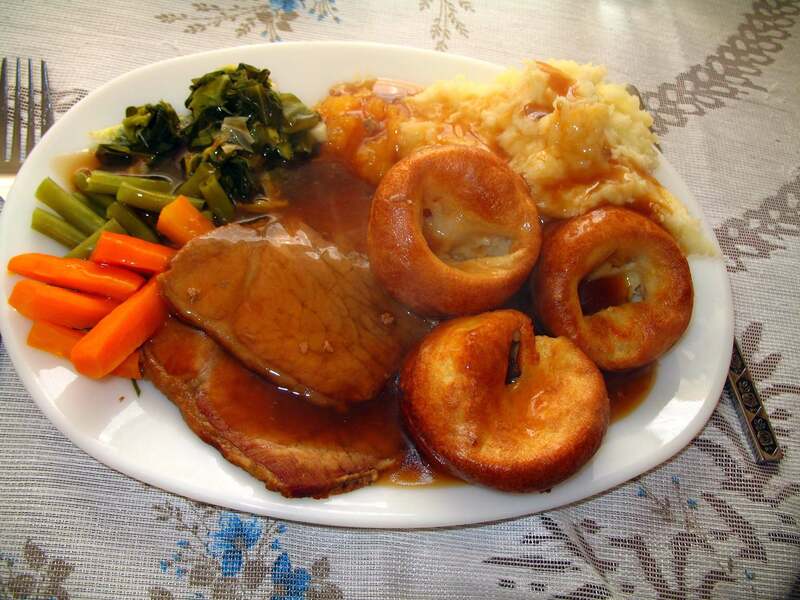 The Sunday roast is more than likely the most traditional of all English cuisine, being enjoyed the length and breadth of the country not only in homes, but in pubs and restaurants. Its popularity is easy to understand as it really is a meal worth waiting for and usually acts as a social gathering of the family. Consisting of a sizable piece of beef that will have been cooked to perfection (although most other meats are often used as a replacement), potatoes can also be roasted with the beef to let them absorb the meat’s juices and turn golden brown in colour once crisp. 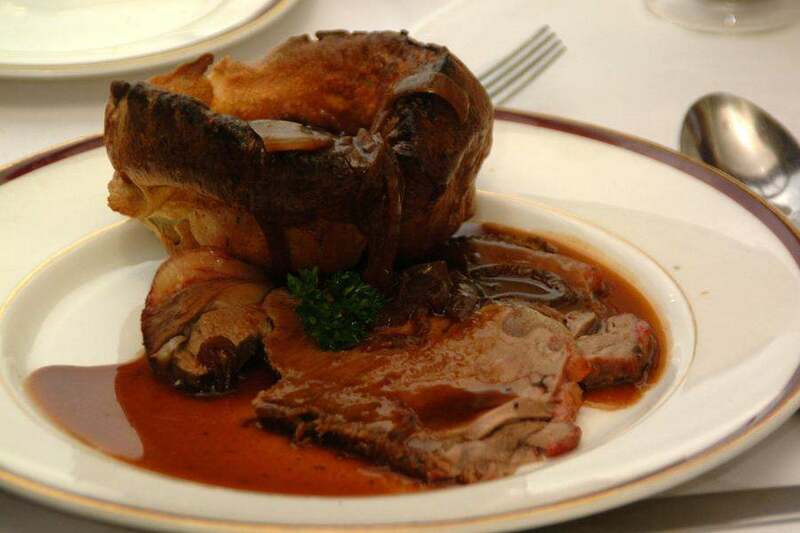 Add to this a selection of boiled, roasted or steamed vegetables, boiled or mashed potatoes, Yorkshire puddings and stuffing and as soon as you pour over the rich gravy, you have yourself the perfect, traditional Sunday roast. Hey, you omitted haggis, tripe, and deep fried Mars bars. All are easily found in the UK, and on Google. 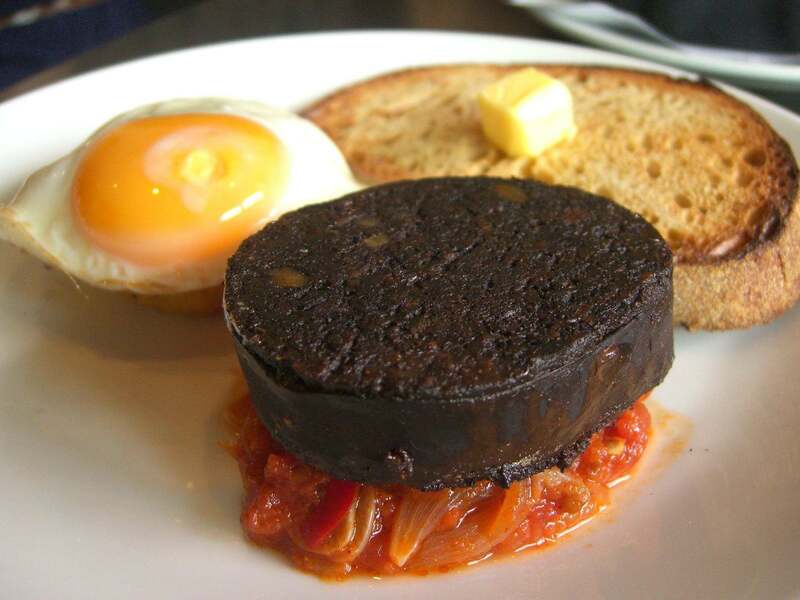 But KevlandyUK why would Scottish Haggis appear in an article on English cuisine?! And you’d be hard-pressed to find deep fried mars in England! Where’s the stomach churning? This all looks lovely!